Your business provides a service or product that is, by customer standards, great and easy to work with. 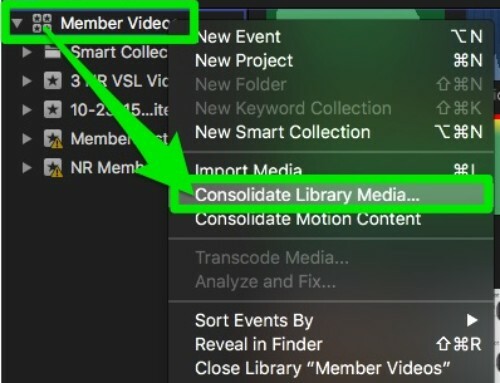 In this post, we’ll break down how to Consolidate the Library Media for your FCP X business case analysis project so no files go missing when your remote edit team opens the project on their computers. By the end of this post, you’ll know how to package all of your raw files automatically into FCP X for uploading to our Content Creators Lounge editing team OR your personal remote editing team for handling all the detailed post-production work. 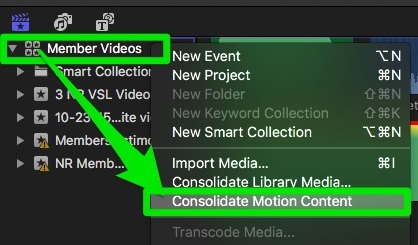 This might be an obvious first step, but prior to consolidating your media files, make sure you’ve included all content you want to include into the FCP X project. ​Open the FCP X project you are working on. OR use the shortcut [CMD] + [I] OR drag and drop your files from Finder into the FCP X project. 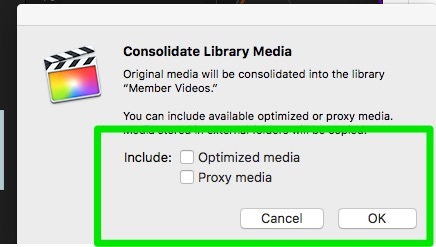 After selecting “Consolidate Library Media”, Final Cut Pro will ask if you would like to include any Proxy media or Optimized media in the consolidation process. To reduce the project upload time, we recommend NOT checking these boxes. Optimized and Proxy media are discussed in a previous post. In general, un-checking these options avoids bloating the project size. Plus, your editor(s) can re-render these files on their computer without losing any important data. What happens if you include optimized and proxy media? These files can be massive (and take a long time to render), which will significantly slow down your upload process and the post-production process in general. Un-check the “Optimized media” & “Proxy media” options. FCP X will now save a direct copy of all the original files directly into the project file. Leave Final Cut Pro alone for a few minutes while it consolidates these files. 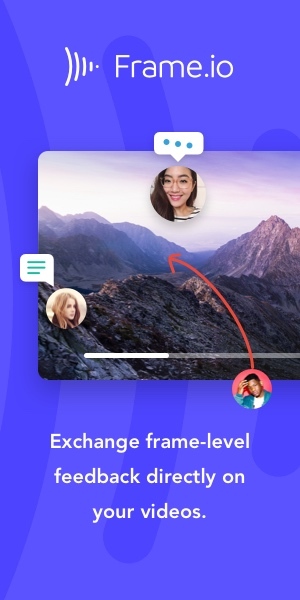 ​Once finished, you can save the project into a shared Google Drive or Dropbox folder and share it with the Content Creators Lounge editing team (if you’re one of our customers), or your personal remote video editing team. After you and your editing team have synced up to the same FCP X project file, any edits or changes on one computer will automatically update to the cloud, and update everyone’s version of the project file. Seamless remote editing work at its finest. Let us know if this workflow has helped you out! 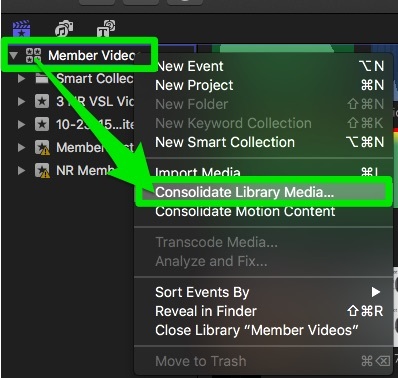 And if you have any questions about consolidating your FCP X library for remote editing, feel free to leave a comment below.